Claire Randall has a secret to tell her daughter. Twenty years after she mysteriously re-appeared at the stones of Craigh na dun, she returns with her grown daughter to Scotland to reveal the stunning truth behind her disappearance. 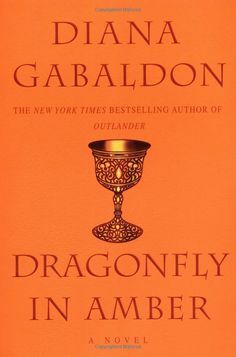 Diana Gabaldon is a firm contender for the very top spot on my favorite authors list. 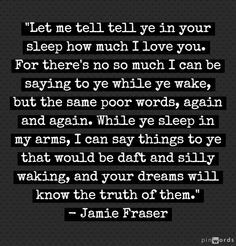 The tale of Claire and James Fraser has everything you could wish for in a story: honor, romance, war, death, intrigue, magic, deception, history and more. I feel as though I have been dragged into seventeenth century Scotland, and the accuracy with which Diana describes life in these times, makes me confident that I might survive it together with Claire Fraser. The emotion and graphic scenes are so well written, it’s impossible not to rise with Claire on the wings of hope, and sink with the Scots to the depths of despair. Diana’s use of different point of views to segregate time was particularly effective in this novel. Although I love her first person point of view for Claire, the use of the third person POV at certain points in the story definitely helped me to identify the cut in timelines, provided a breath from the intense emotional roller-coaster of Claire’s adventures and gave a deeper insight into some of the peripheral characters that I feel certain will play a larger role in books to follow. As a history lover, I couldn’t have asked for a more down to earth, graphic depiction of the Jacobite rising. As a romantic, I don’t think I’ve ever read a more stirring account of true love that transcends not only centuries, but the day to day hardships and monotony of life and loss. Rare is the author who can maintain pace and interest in such a thick, epic tale, but Gabaldon does it with ease. I am completely, utterly in love with this sweeping series and can’t wait to get my hands on Voyager! ← Indie vs Traditionally published books?